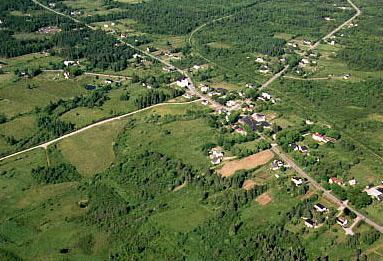 Gentle rolling hills, brooks, lakes and farm land with many rock walls are typical of this unique community. First settled by Nehemiah & Benjamin Churchill who about the year 1826 decided with a number of other Yarmouth families to go to Ohio, United States. For some reason these two men changed their minds and settled beyond the utmost settler, at what was known as the "Ponds". They gave the name of "Ohio" to their farms, which has thus become the name of the settlement.